If you're looking for high performance, high efficiency and dependable operation, we've got the system for you. Our new Logix™ series controllers for our Autotrol® brand valves set the standard for achieving superior water treatment for you and your family. The Logix 760 demand controller will set a new standard for simple and efficient controllers. The 760 includes single programming, with a 28-day variable reserve feature and the ability to change the time of regeneration. This cost-effective controller is a great for residential and light commercial applications up to 3 cu. ft. of resin. 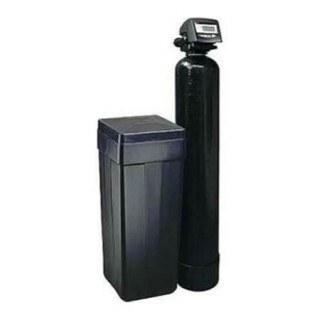 Softeners include Autotrol 268 Logix valve with a 740 6-day timer or 760 microprocessor, 3/4" Noryl manifold, blue polyglass mineral tank, charcoal 15" x 17" x 36" brine tank with pick-up and standard mesh or fine mesh resin. Frictionless seals prevent hard water from contaminating softened water Durable Noryl plastic construction ensures years of reliable operation.